French electronics maker Archos will reveal two 4G-ready smartphone that equipped with Android 4.3 and could soon be updated to run Android 4.4 (KitKat) for as low as € 199.99 at CES on January 7-10 in Las Vegas. The two smarthphone pack with 1.4GHz quad-core processor and 1GB of RAM and are compatible with 4G, WiFi and Bluetooth. Memory can easily be expanded via microSD slot. Archos 50 Helium is equipped with a 5-inch screen, a 8MP camera and 8GB of storage, while the slightly smaller Archos 45 Helium 4G, with 4.5 inch screen includes an 5MP camera and 4GB of storage. 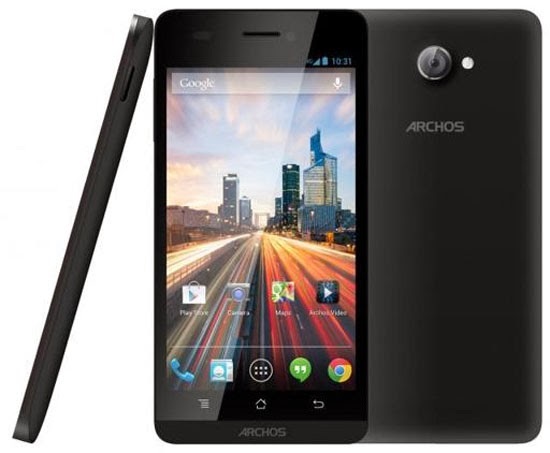 Archos plans to ship the devices shortly, with prices starting at €199.99 and €229.99 respectively.